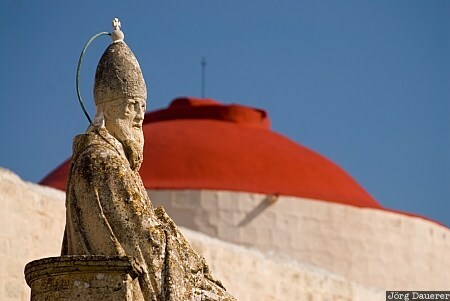 The statue of St. Gregory in front of the red cupola of St. Gregory church in Zejtun. Zejtun is on the eastern part of the Mediterranean island Malta. This photo was taken in the afternoon of a sunny day in March of 2009. This photo was taken with a digital camera.